What do 200 balloons, a ‘buddy’, and a family’s love have to do with treating a rare seizure disorder? Everything. Over time, Rebecca continued to see Klaytin struggling in pre-K activities. He was having difficulty remembering shapes, numbers, and colors. “He would learn things and then later forget,” said Rebecca. The persistent parents saw the family doctor again, who later referred them to a neurologist. “Our family physician wasn’t sure where to send us. It was getting scary,” explained Rebecca. He suggested they visit a neurologist who would later perform a video EEG (electroencephalogram). This test monitors and picks up electrical signals produced by the brain. The tests revealed abnormal activity, indicating Klaytin had been experiencing seizures. The seizures were never consistent . . . every single episode looked different—so did the time it happened and its severity. After much research, the family found out their little boy suffered from a rare epilepsy disorder called electrical status epilepticus during slow-wave sleep (ESES). Things were finally adding up for the family of five. It’s common in children with epilepsy to experience developmental and emotional problems if not handled properly. “We’re finally getting answers,” Rebecca cried. The family felt their persistence was paying off; however, this uncommon chronic condition was going to have them entering an even darker journey. “We started to realize how rare this diagnosis was,” explained Rebecca. As the desperate parents continued their search for answers, they found a family friend who experienced a similar condition. Tragically, their child passed away from having too many seizures and not finding treatment that was effective enough. Rebecca and Devon were beside themselves. Eventually Rebecca found a family in the Republic of Turkey that experienced a similar situation with their child. They offered mild solutions, but nothing concrete. However, through every conversation, she became closer to her ultimate goal of finding a solution. During this time, Klaytin tried and failed many anti-epileptic drugs and received steroids daily to help minimize the symptoms. “Nothing was really working and I was growing impatient,” said Rebecca. 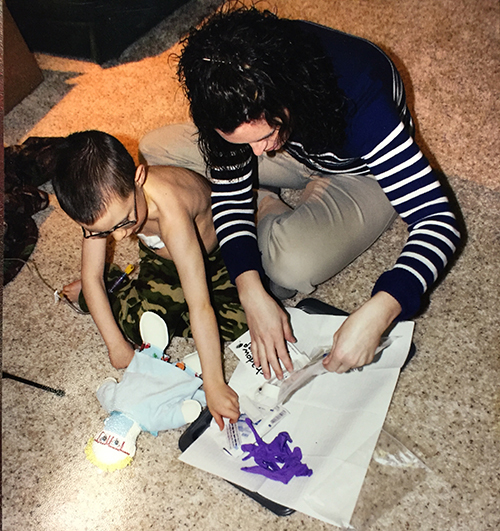 Months later, Klaytin’s neurologist connected the family with physicians at Mayo Clinic and other practices around the world. 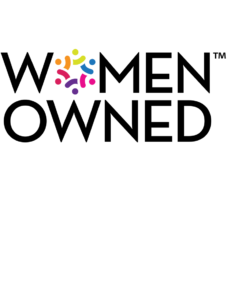 They recommended trying IVIg (intravenous immunoglobulin), a treatment used to help patients with autoimmune disease. This approach is slowly growing in popularity with people being treated for specific cases of epilepsy. And with their clinician’s consent, the family decided to move forward with IVIg treatment. It was ARJ’s outstanding reputation, services, and word-of-mouth referral that encouraged Rebecca to seek specialty care from ARJ. “It was through prayer and the support of others that I found them,” explains Rebecca. Part of ARJ’s character is the quality-of-care the team brings. The care plan was set. ARJ’s pharmacists would help manage the medication while nurses would create a comfortable infusion setting for Klaytin. As with any lifelong condition, it can have lasting emotional effects. 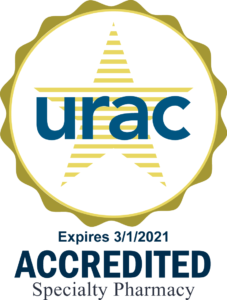 ARJ clinicians are ready for the unexpected—it’s not the first time the team has encountered a child who doesn’t want to receive care. One day, ARJ nurses Dedria Spaulding, RN, and Bushell gave Klaytin a small figurine customized in his likeness. However, this wasn’t just any toy. It’s designed for children who have an illness, disability, or are in need of medical care. 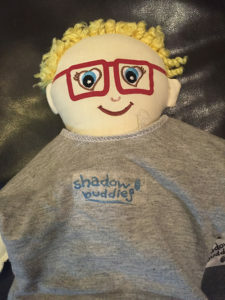 Created by the Shadow Buddies Foundation, Klaytin’s new buddy is a condition-specific toy designed to be a friend to a child who needs emotional and psychological support. 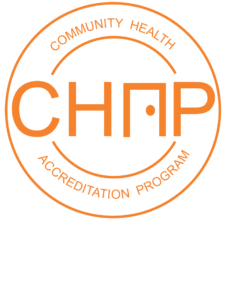 This hands on approach allows experts to educate the child and their families on the condition and treatment. “Klaytin performed the infusions himself on his ‘buddy’ Woody, it even had a port,” said Dedria. This provided the then 6-year-old boy to ‘play’ out his feelings. “I could tell he was struggling,” said Rebecca. Over time, his anxiousness and worry went away. 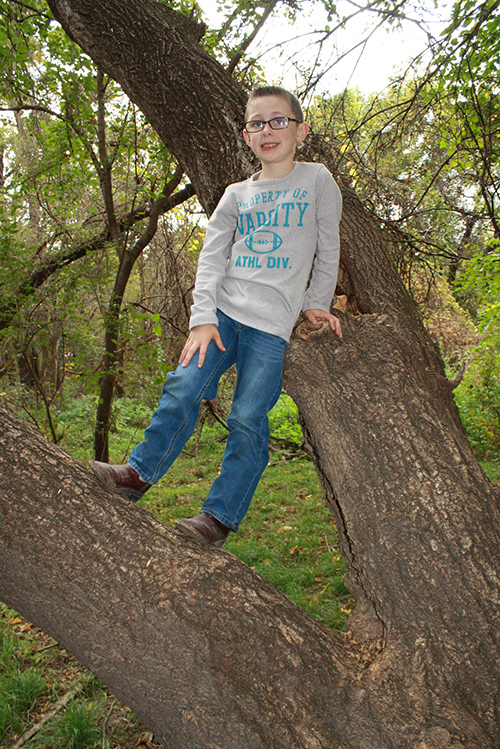 April 24, 2014, marked the one-year anniversary of Klaytin’s seizure-free life. To celebrate the occasion, the happy family threw a party with more than 200 family members and friends in attendance. There was tug-of-war, old-fashioned outdoor games, and comfort food. But what made the event memorable was a special balloon release to honor Klaytin’s recovery. 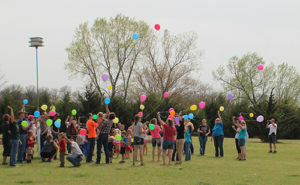 Each guest wrote down what they were thankful for on the balloon before releasing them into the sky. Today Klaytin is loving life and doing what he enjoys most—being outside, fishing, and helping his dad in the garage. “We’re always finding something to mess with in the garage,” laughs Devon. Things are looking up for this family of five today, which also includes 11-year-old Kaidynce and 9-year-old Kyleigh. This April, Klaytin will be three years seizure-free thanks to his parents’ and ARJ’s perseverance. The renewed energy and happiness in this young boy’s heart are reason enough to never give up hope. Find out how our patients overcome chronic conditions.